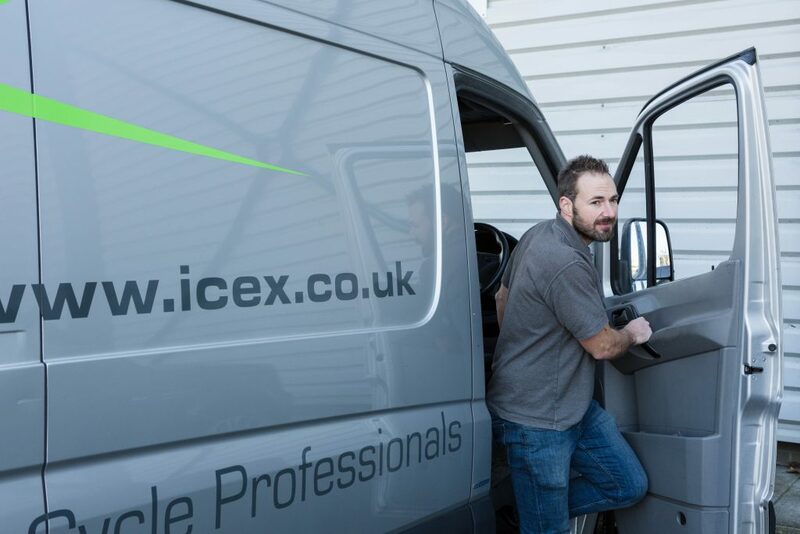 We respect the fact you are considering ICEX to be your trusted IT asset disposal partner and to this end we want to provide you with the best possible experience. With our flexible approach to IT asset collections we can pick up out of hours or at weekends which in turn makes us perfect for London with its loading restrictions and difficult access to offices. When confirming a collection, we will send you details of the vehicle, it’s registration number, the driver’s name and an estimated time of arrival. All our experienced drivers are DBS checked, wear uniforms and carry ID to ensure your equipment always ends up in the right hands. Our modern fleet of IT asset collection and computer disposal vehicles are all fitted with a GPS satellite vehicle tracker allowing us to monitor the vehicle back to our facility, it also allows us to notify you if a vehicle is behind schedule and keep you up-to-date with its progress. To be as environmentally efficient as possible all our vehicles are fitted with ‘start-stop’ technology and all routes are planned in advance to be as economical and punctual as possible. Security is our biggest priority and we do everything possible to ensure the integrity of our service – when we leave with your IT assets the liability switches from you to us and is backed up by a £5 million public liability insurance policy. Contact us today so we can provide a solution to your IT recycling and Data Disposal requirements.